Washington — Democratic U.S. Reps. Brenda Lawrence and Rashida Tlaib wrote Friday to Michigan officials seeking more robust oversight regarding potentially contaminated soil used in the federally funded demolition program in the state’s cities, especially Detroit. Their letter comes after the Special Inspector General for the Troubled Asset Relief Program in January issued subpoenas seeking two years’ worth of documentation from certain contractors over dirt used to fill holes for homes torn down under the blight removal effort. The subpoenas were the latest development in the agency’s ongoing criminal probe of demolition in Detroit after the federally funded program came under scrutiny in 2015 amid concern over bidding practices and soaring costs. “Citizens of Michigan, especially Detroit, deserve to know that proper precautions are being taken to address their concerns,” said Lawrence of Southfield in a statement. Housing officials said Friday they’ve already instituted additional controls to the system. In letters to the heads of the state Department of Environmental Quality and the Michigan State Housing Development Authority, Lawrence and Tlaib — Detroit’s two lawmakers in Congress — urge them to implement recommendations that a federal watchdog made in 2017 regarding the risks posed by asbestos exposure, illegal dumping and contaminated soil from housing demolitions in Detroit, Flint and other cities. “The potential use of contaminated and unverified sources of dirt being used to fill these demolition sites presents an alarming lack of oversight that could have public health ramifications for thousands of Michiganders,” wrote Lawrence and Tlaib, who both sit on the House Committee on Oversight and Reform. Detroit Mayor Mike Duggan has defended the “vigorous” practices of the city’s demolition program after concerns were raised over whether some of the dirt used to fill holes might have been contaminated. “The lack of oversight and uncertainty regarding the public health safety of the citizens of Michigan is unacceptable,” they wrote. 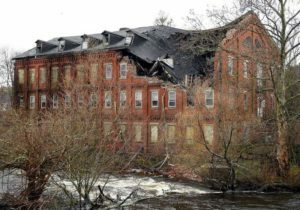 They noted the finding that asbestos removal appeared to have been “mismanaged” by local land banks and that it was unclear whether material placed in demolition holes was clean and in compliance with state and contract requirements. A spokeswoman said Friday that MSHDA and the Michigan Housing Authority “welcome all inquiries” into their blight elimination programs and plan a detailed response to address the lawmakers’ concerns. “We have consistently sought accountability as part of our program oversight, whether for procurement, invoicing, environmental safety or any other facet of the program,” spokeswoman Katie Bach said. 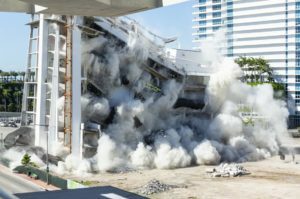 “In more recent weeks, environmental and health and safety concerns have been raised, and MHA has taken these seriously by investigating and responding with added protections to ensure public safety and improve the demolition program,” Bach said. “Every demolition site where the backfill was found to be from an unapproved source either was subsequently determined to be within MDEQ guidelines or removed and replaced with approved backfill that meets MDEQ requirements,” Farkas said in a statement.